I was one of four lucky students at my high school to participate in a statewide student exchange program in the summer of 2001. 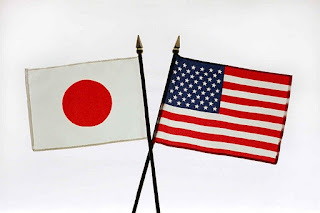 The program consisted of Delaware students hosting Japanese students for two weeks in March, and Japanese students hosting Delaware students for two weeks in July. The program was sponsored by the Delaware Department of Education and coordinated by Shuhan Wang, Educational Associate for World Languages. It has been 10 years since I was enrolled in the program and I now I am finally ready to reflect on my experience and share my findings. Ryo, was the name of my Japanese Exchange Student brother. Below is a sample of his application to the program. “What I expect most is the spiritual growth of myself. The world is very large, but I know about only Japan. There are many wonderful people in the world. I’d like to meet and understand them as many as possible. I’m sure that I will be able to share the joy of understanding with many American people. And I hope that the differences of humanity, that of cultures, that of languages and everything will make my spirit as an international person stronger." After reviewing Ryo's application just a few days ago, it surprised me that he did not mention experiencing America's education system. He was more curious about learning about the American culture, language and humanity. His main goal was for his spirit to grow as an international person and to show Americans the importance of "consideration" and acceptance for global connectedness. As I reread the Miyagi Prefectural Board of Education's Educational Policy Statement, I noticed that it seemed to correlate to Ryo's message in his application: Promoting strength and kindness at school. Enriching people’s lives by creating a society with the spirit of life-long learning. Creating and promoting arts and culture. Enriching and vitalizing people’s daily life through sports. It seemed as if the Japanese Education System integrates spirit, character and culture into its curriculum to promote life-long learning. Could this be why Japanese students value their education so much? Because culture, ethics, spirit and character are instilled in the education system? A typical day in a Japanese school seemed completely backwards from a traditional American school. As soon as I walked into the school, I was immediately greeted by several rows of shoe lockers. I would take off my outdoor shoes and put on my school shoes. I would keep my outdoor shoes in my locker until the end of the school day. Students did this out of respect for the school. There were no custodians in the schools. At the end of each day, students would take the desks and chairs out of the classrooms, clean the classrooms and then put the furniture back. Another difference was that students would stay in the same classroom all day and the teacher would change classrooms. Teachers would cart their materials from classroom to classroom while the students stayed in their seats. This made for a very long and boring day for the students. The school schedule was also very different. I would arrive to school at 7:15 a.m. and go straight to the Library to study for 90 minutes. After I studied, I would report to Homeroom at 8:40 a.m. Everyday, class would start at 8:40 a.m. and usually last until 5:00 p.m. Then, after my last class, I would study for another 90 minutes before I went home. My class schedule was different everyday, but these were the classes that I visited during my two weeks in Japan. One day in English class I found a worksheet in an English booklet that I found very interesting. The worksheet was a passage that depicted the American Education System. The students were tasked with answering questions about the passage. Below is an exert from the passage. “It is important to understand what Americans mean when they say they believe in equality of opportunity. They do not mean that everyone is – or should be – equal. However, they do mean that each individual should have an equal chance for success. Americans see much of life as a race for success. For them, equality means that everyone should have an equal chance to enter the race and win. In other words, equality of opportunity may be thought of as an ethical rule. It helps ensure that the race for success is a fair one and that a person does not win just because he or she was born into a wealthy family. After experiencing the Japanese Education System, I now understand why Japanese students are so successful in life, and on standardized tests. Japanese students go to school all year long and they are in school at least two to three hours more a day than American students. In addition, the Japanese people value education and instill spirit, ethics, character, and culture into the curriculum. This helps students to find purpose and significance in their education. Japanese students are more dedicated, devoted, and determined to learn and understand the world in which they live in. Japanese people also believe in enriching and vitalizing their lives with nature, arts and sports. Interestingly enough, the Japanese feel that Americans value quality of life more than their education. Japanese people are often envious that Americans have more free time and opportunity to explore their interests. I absolutely agree that Americans value quality of life more than their education, which brings up an interesting question. Which is more important to us: our education or quality of life? More interestingly, is it possible that there is a direct relationship between quality of education and quality of life? In other words, does an increase in quality of education yield an increase in quality of life? If this is true, we should put more emphasis on improving our quality of education!